I attended Glenn Beck’s Restoring Honor rally Saturday. My decision to attend wasn’t planned. As a matter of fact it was completely spur of the moment. My dad called me Friday afternoon, when I was at work, and asked if I would be interested in going with him and my mom, thus with my answer being affirmative, he told me to be ready at 3:30 a.m.
We arrived at the Lincoln Memorial at 11 a.m. with the rally already in full swing. The crowd was immense. People were sitting between the columns, on the steps and walking around it. They were packed full on both sides of the Reflection Pond and beyond. The aerial view photos are a bit distorting because you can’t see all the people who were beneath the Cherry Blossom trees. I know because I walked the cement pathway from the Lincoln Memorial to the WWII Memorial, which was tree-covered and it too was packed full with people sitting on chairs, blankets, the grass, or just standing. Who are our next heroes? 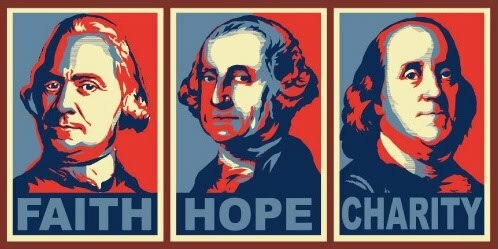 Do you have Faith, Hope and Charity in your life? I have a hero in my life. It’s my dad. He raised us by example, living with nobility and good character. I learned from him to be honest regardless of how difficult it may be for me. I have sacrificed regardless of how uncomfortable it may feel. I am compassionate and benevolent because I learned that it feels good to have a purpose greater than myself. I have seen over the years that too many people today don’t have a purpose. They don’t honor themselves let alone others. They lie, steal and cheat because it’s easy. Let’s face it, doing the right thing takes fortitude. We need to practice that so the next generation will learn by example. I will admit I’m not a religious person. I was baptized Lutheran and practiced that until the age of 10, then began practicing the Catholic religion. From age 25 until about 30 I practiced a non-denominational religion, but with much self-reflection and thought, changed to Atheism. I believe in doing the right thing because, well, it’s the right thing to do. I don’t need the fear of hell looming before me to know not to lie, steal, or cheat. I don’t commit adultery because I love my husband and it would hurt him deeply. I am kind to people because I want them to be kind to me. I never found a connection with God or a Higher Being therefore praying never gave me solace. I found over the years that I had more strength within myself. I have the utmost respect for those who practice a religion and believe that everyone has the right to practice what they believe is right for them. So, what did I get out of this rally, considering it had such a religious undertone? What does Faith, Hope and Charity mean to me? Faith, I think, means to believe in something unseen. I believe in a strength within myself. A strength I found years ago that permeated from within which sustained me through some of the roughest times of my life. I was able to walk through the darkness into the light and emerge without bitterness or hatred, therefore I have faith that I will remain a loving, compassionate, strong person and it will see me through my journey of life wherever it may lead, and I will continue to learn from the good and bad lessons along the way. Hope, to me, is the belief that no matter what hardship you face; obstacle you must overcome; lesson you must learn--you trust that tomorrow will bring a better, brighter day. I believe that if we don’t have hope we will not be able to find our way out of the darkness into the light. Our hearts will expand with Charity. When we put aside our own needs and give to others, whether it’s helping an elderly lady up a flight of stairs; serving food in a soup kitchen; or donating money to the poor--we are reaching out to mankind. There is no greater purpose in life than to give to others. When we meet a need in others, we are, in essence, fulfilling a need within ourselves. Charity is an extension of ourselves and there is nothing more benevolent...more powerful...than to help someone in need. Let us restore in ourselves what may be lying dormant. 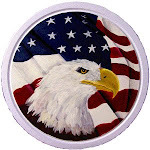 Honor, truth and dignity. Have Faith, if not in a God, ALWAYS in yourself. Never give up Hope, because on the horizon is a new day with the rising of a beautiful sun, and bestow someone with an act of Charity, give them the magnificence of YOU! 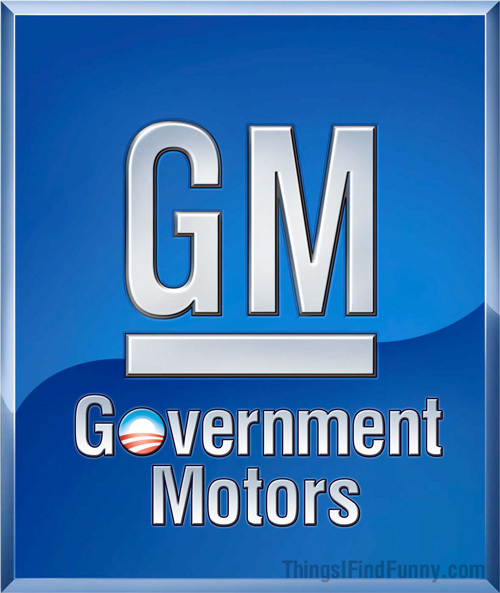 General Motors (GM), or as many refer to it, Government Motors, because we, the taxpayer, own 60% of the onetime auto giant, is investing $500 million dollars in a Mexican auto plant to build a new mystery vehicle and eight cylinder engines. I don’t know about you, but I find this rather disturbing considering our country is facing “the worst economic crisis since the great depression” (I think I could recite THAT sentence in my friggin sleep! ); we’re at 9.5% unemployment; and all we hear from the Left is how the Republicans have ruined the economy with trickledown economics, tax cuts and how they’ve sent all the jobs over-seas. Hmm, I guess it’s okay that we send hundreds of millions of tax payer dollars AND jobs straight over the border though, huh? 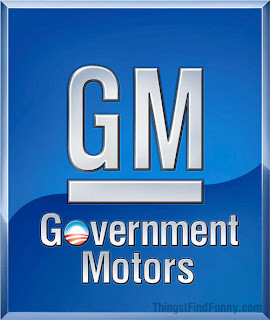 I mean GM only closed 14 plants and 13 warehouses in 2009 leaving 20,000 people unemployed. This Mexican plant employs 11,000 workers and with this new influx of cash it will hire 390 new workers. I’m sure there are 11,390 people unemployed in the United States who would LOVE to have a job right about now! Where is the outrage? Where is the outcry? Queue the crickets because the silence is deafening. The Left is notorious for their rage over anything and everything that Bush, or anyone on the Right, has done, real or imagined, but let Obama do something, even take over an American car company then send half a billion dollars to another country when we NEED it right HERE and you hear NOTHING. The hypocrisy is astounding. That Mexican plant, and any other foreign GM plant, should be shut down—YESTERDAY and reopened here in America where it can employee LEGAL AMERICANS, because it is OWNED by United States taxpayers. A privately owned company can do whatever it wants as it has its own money, but when taxpayer money is involved it should then do what is RIGHT for the taxpayer. I know I’m wasting my time writing about this, but when I see such a horrific injustice, I just can’t help myself. I believe in doing what’s RIGHT and it angers me when I see such inappropriate actions and by our OWN government no less! It’s actions like THIS that make me wonder how anyone could ever think government is more capable than the average person. Those in government are NOT Gods. They are flesh and blood humans, with failings and frailties like so many others and THAT is why I don’t trust them to run my life, our car companies, our banks, student loans, and our health care. I don’t have blind faith that human beings are without fault and with total power they won’t abuse it. It’s just too tempting to people with less moral character and Washington has proven time and again that they have LESS moral character than the average person.